Macarthur wool grower Gareth Spring, centre, with Elders wool technical support officer, Amy Carpenter and Elders district wool manager Andrew Howells at the Melbourne wool auctions this week. AUSTRALIAN wool prices increased this week with buyers bidding aggressively to secure supplies as future auction volumes look set to decline. Senior AWEX market analyst Lionel Plunkett said the national offering increased slightly this week – up 1064 bales — to 39,894 bales. “Although quantities increased on the previous week, the current AWEX Four Week Forecast is showing a continual reduction in quantity over the coming month. “This forecast has led many exporters to attempt to secure meaningful quantity, while it is still available,” he said. “Prices remained relatively unchanged on the first day of selling, this was reflected in the AWEX Eastern Market Indicator which recorded no change. “On the second day of selling buyers became more aggressive in their approach, resulting in price increases across the board,” he said. Mr Plunkett said the EMI rose by 10 cents this week, to close at 1944c/kg clean. He said the first designated superfine sale was held in Sydney this week and the specialty selection attracted strong support, pushing the Micron Price Guides for wool 18 micron and finer up by 40 to 45 cents. The EMI in US$ lifted 25 cents to US1380 cents as the A-US$ exchange rates fell 1.68 cents to US70.99 cents. Prices for crossbred wool in the 25-30 micron range increased between 20 and 40 cents, Mr Plunkett said. A limited selection of 32.0 micron were generally unchanged. The oddments market finished marginally easier; generally 5 to 10 cents on most types. Macarthur wool grower Gareth Spring sold his family’s Merino and crossbred non-mulesed and ceased mulesed clip through Elders this week, with most lines making above valuation. The family’s early January shorn Fernleigh-Barrama blood Merino fleece peaked at 1769c/kg greasy — 38 cents above valuation — for a six-bale line of 19 micron wool with a yield of 76.8pc, staple length of 101mm and tensile strength of 39 Newtons/kilotex. The clip also attracted bidding from a non-mulesed order from a Japanese retailer. Mr Spring said the season got off to a very tough start, but has turned out well. Elders district wool manager Andrew Howells said non-mulesed and ceased mulesed wool with the right measurements and fitting a buyer’s requirements is receiving premiums. “The market was very solid and certainly the dollar helped. Mr Howells said conditions in China were still quite slow, but the market was holding up well despite recent Chinese holidays. Australian Wool Innovation’s weekly market report said the buoyant wool prices were indicative of the continuation of the underlying strength of demand. “The industry is retaining, and indeed improving, its wool values in face of many external and negative influences. “A reported general deterioration in the global economy, in particular the slowing in China’s GDP growth, the debacle that the Brexit negotiations has turned into and the tariff disagreement between the USA and China are all cited as potential disruptors to the ongoing demand for luxury products where wool consumption sits,” AWI said. 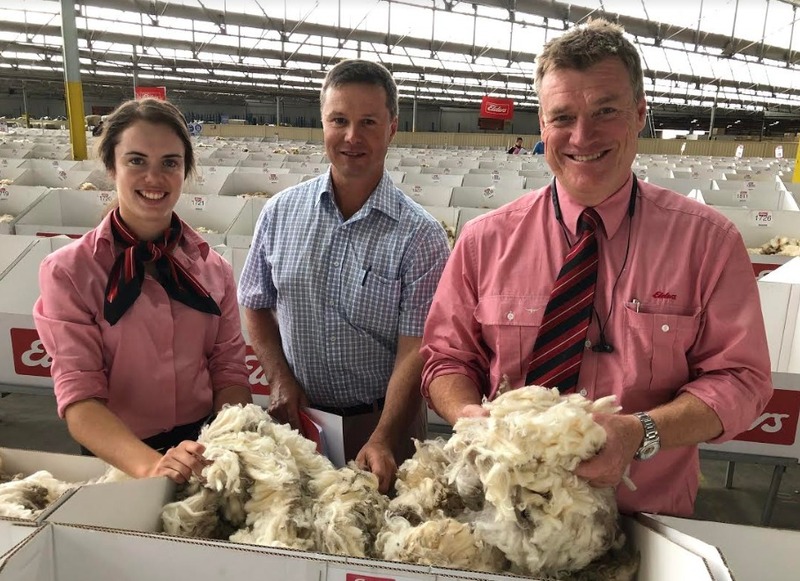 AWI said improved quality clips in the designated superfine sale in Sydney sale centre were duly rewarded and prices on these best style and strength wools finer than 19 micron increased 60-80 cents for the week and now attract premiums of around 180-260c/kg clean. “Chinese interests are expected to become more active as their holidays end and they return to normal operations. “With the A$ continuing to trade at weak rates against the USD, this can only help retain local values,” AWI said. There are 38,205 bales rostered for sale in Sydney, Melbourne and Fremantle next week.